German label Avenue Of Allies will release the new album Ahead Of Time by the Belgian Melodic Rock band Frozen Rain on March 9. Ahead Of Time arrives four years after the self titled debut album and marks the second chapter in the history of Frozen Rain. In 2008 the dream of the Belgian song writer & multi-instrumentalist Kurt Vereecke became reality when the first album of his AOR / Melodic Rock project was released. The very positive feedback of fans and reviewers alike paved the way for a follow-up of the successful first “Frozen Rain“ record. Already early on some changes for album no. 2 were considered and eventually put into action. Thus all songs of the album were recorded with a constant band line-up of six musicians, besides Kurt Vereecke (keyboards, bass, acoustic guitar, backing vocals), Jurgen Vitrier (keyboards) and Vincent De Laat (bass) were already on board for the debut album. 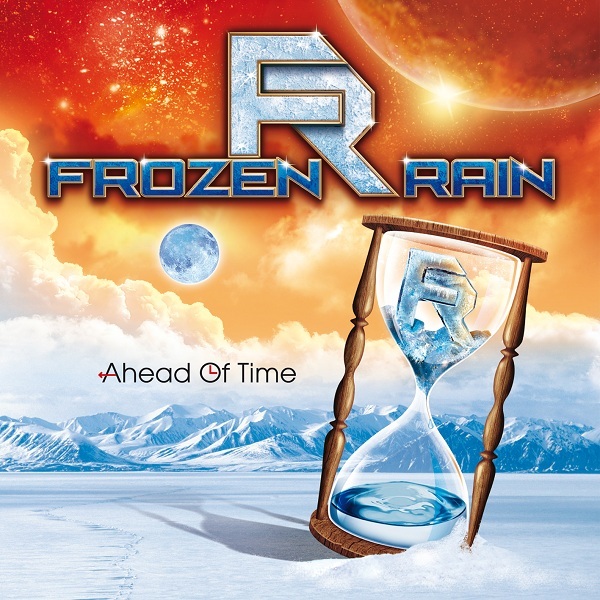 Strengthening the Belgian party of the “Frozen Rain“ team on “Ahead Of Time“ are Rik Priem (rhythm, solo and acoustic guitars) and Kurt's brother Hans Vereecke (drums). The position as the front man on the mic stand is now occupied by one of the most distinctive German Rock shouters, Carsten 'Lizard' Schulz (Evidence One, Paradise Inc., ex-Domain). Rik's virtuoso guitar play and the decision to have Carsten as the sole lead vocalist on all songs (on the debut five singers shared the vocals) are a tremendous gain for “Frozen Rain“. In addition the songs sound tighter and more powerful thanks to the consistent line-up of musicians that delivers a real band feel on each cut and the refining of the material through the mix by Alessandro Del Vecchio (Edge Of Forever, Eden's Curse, Shining Line, Lionville) and the mastering by Dennis Ward (Unisonic, Pink Cream 69, Sunstorm). A video clip for the song “Believe It Or Not” will be available soon.